By combining GPS positioning and an accelerometer, your phone can tell not only where you are on the planet, but exactly where you’re pointing it; cue planetarium apps that show you exactly what you’re looking at in the night sky. There are apps to help you plan observing sessions, find satellites and the International Space Station. There are apps that aid astrophotography, and provide the latest astronomical updates. Below, we look at 15 of these essential tools for astronomy. 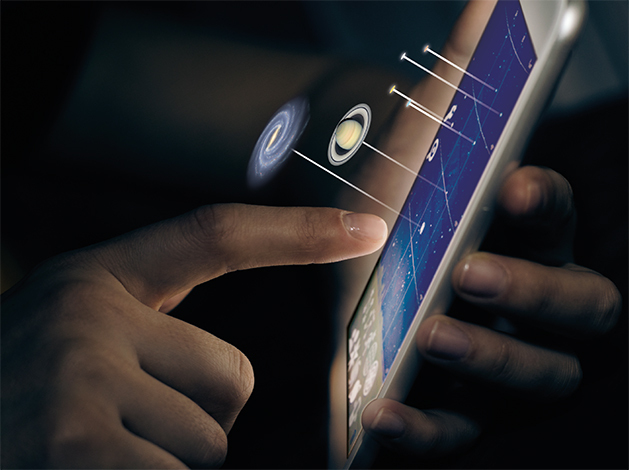 – Thanks to smartphone apps, you can now keep a wealth of astronomical knowledge in your pocket.